On this day in 1892 “Sir Hugh” led his Beaneaters to the World Championship by beating the old Cleveland Spiders, 5-0-1. Sporting Life noted that the World Series hero was Duffy, the man to call on when it was time for a hit. 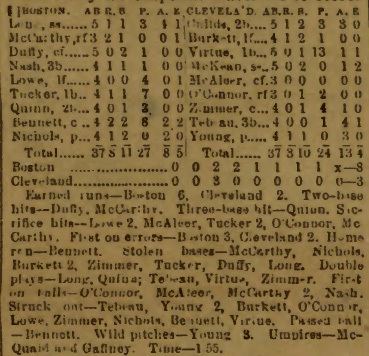 Duffy’s record of twelve hits, including two doubles, two triples, and a homer, stamps him as a man for an emergency. Duffy’s official line was 6 games, 26 At Bats, 2 runs scored, 12 hits, 2 doubles, 2 Triples, 1 home run, 9 RBI, 3 stolen bases and 3 sacrifice hits for an Average of .462 and OPS of 1.328. In the final game he went 2 for 5 with a double. It should also be noted that Baseball-reference.com has Duffy down for three doubles. In 1894 Duffy had one of the greatest seasons in MLB history winning the Triple Crown with 237 hits, 51 doubles, 16 triples, 18 home runs, 145 RBI, a .440 Batting Average, a 1.196 OPS, and 173 OPS+ and 374 Total Bases. He hit over .300 for nine consecutive years, with career averages of .326/.386/.451 and 123 OPS+. He is also the only ball player to hit over .300 in four separate leagues: The National League (1889 & 1892-97), Players League (1890), American Association (1891) and American League (1901). 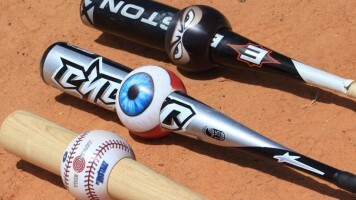 His hitting approach was simple and intuitive; he was quoted as describing hitting as, “it just comes natural… You just walk up there and hit it. That’s all”. Duffy’s baseball career lasted a remarkable 68 years, beginning in 1888, and lasting until the 1940’s, in which Duffy was player-manager, manager, coach, minor league skipper, scout, front office executive, and team owner. 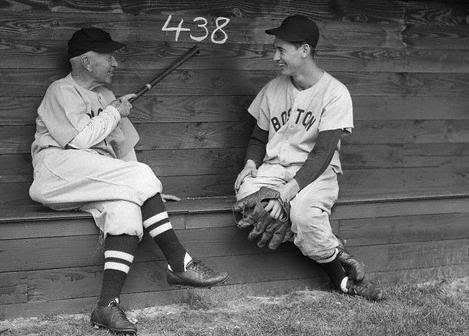 He was the hitting coach for the Red Sox and Ted Williams during his epic season of 1941 when Williams hit .406. Williams was quoted as saying he did not want to break Duffy’s record of .440, because he liked him a great deal and Duffy was an excellent mentor to him during that difficult season. 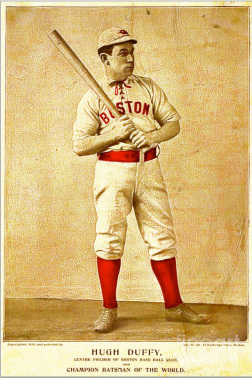 Duffy joined the Beaneaters in 1892 and was a vital player in their dynasty of the 1890’s as the team won pennants in ’92, ‘93 ‘97 & ’98. Other Hall of Famer Beaneaters included King Kelly, Billy Hamilton, Tommy McCarthy, Kid Nichols, Jimmy Collins, and Frank Selee. Duffy was elected to the Hall in 1945. As noted on his Hall of Fame web page, Hugh Duffy on June 18, 1894 reached base safely three times in one inning, a feat that has never been equaled.